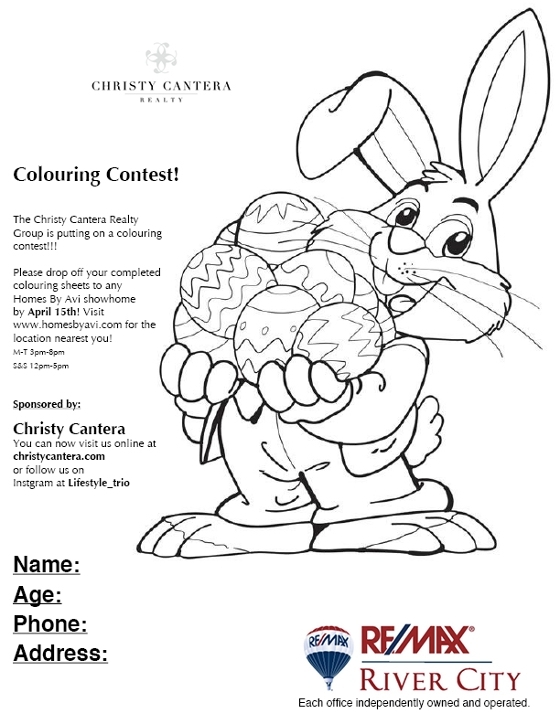 We are so happy to put on our first colouring contest to celebrate Easter! Please drop off your completed colouring sheets to any Homes By Avi showhome by April 15 2017! If you need to print additional colouring sheets please click here. Please visit www.homesbyavi.com for the location nearest you.